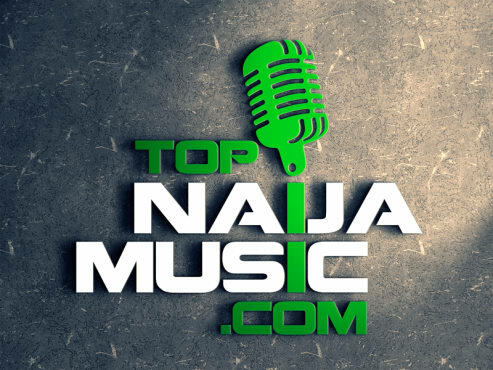 TopNaijaMusic.com is one of Nigeria’s top rated music promo platform. We are here to help Nigerian artistes grow in leaps and bounds. We have many success stories already.you are our next success story. * You stand a big chance of performing at some of our selected shows/events held through the year both in and out of the country if you promote with us well. 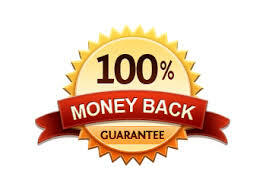 * We Are The Only Online Music Promo Platform That Offers 100% Money Back Guarantee If We Don’t Execute Your Job. 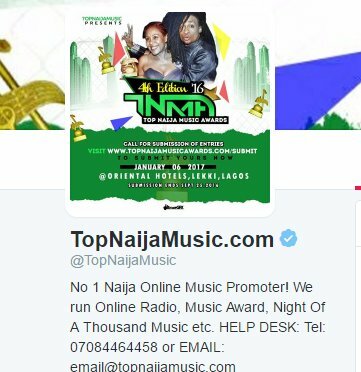 We Promote All kinds Of Nigerian Music (Secular/Gospel/Fuji etc) – this is why we are called #TopNaijaMusic. Welcome to our world. 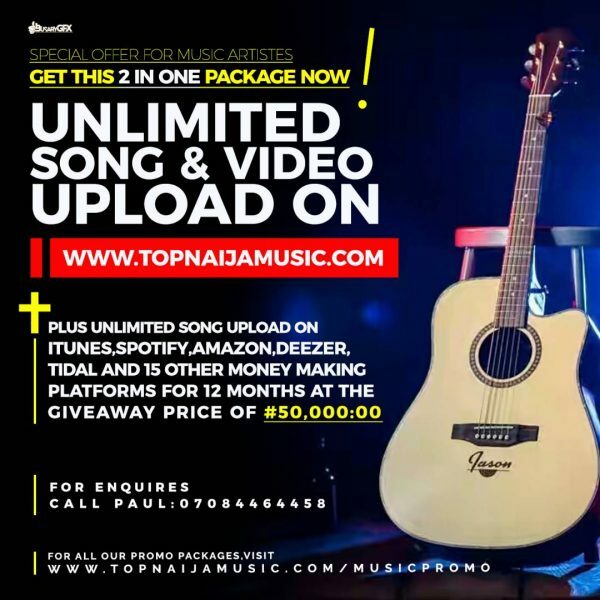 👉 Song or Video Upload on TopNaijaMusic.com & Sharing On Official Facebook & Twitter And Instagram + One Week Instagram sponsored ads – ₦10,000, 2 Weeks Sponsored Ads – ₦15,000 & One Month Sponsored Ads – ₦25,000. – Song distribution to 17 International Music Money Making Platforms such as iTunes, Akazoo, Amazon, Claro musica, Deezer, Google Play, Shazam, Spotify, Tidal, Amazon Music, Zvooq, KDigital Media, Gracenote, Pandora, Rhapsody/Napster, Dubset, 7 Digital. -Song distribution On 17 International Music Money Making Platforms such as iTunes, Akazoo, Amazon, Claro musica, Deezer, Google Play, Shazam, Spotify, Tidal, Amazon Music, Zvooq, KDigital Media, Gracenote, Pandora, Rhapsody/Napster, Dubset, 7 Digital. Get Your Song Permanently Featured On The Front Page Of The Website So That Every One Who Visits The Site Will See Your Song. One Week: ₦20,000; Two Weeks: ₦30,000; Three Weeks: ₦40,000; A Month: ₦50,000. (1) We will upload your song on only one of these platforms individually at the rate of ₦5000 only. For this, you will choose one of itunes, spotify or amazon or google play or deezer etc. (5) We can get you your own personal platform to upload and distribute unlimited songs of your artistes on the international platforms for as low as ₦100,000. (1) We run a 24hours Nigerian music online radio. The radio is TopNaijaMusicRadio.com and available for download on Google Play Store for android phones; Apple Store for Iphones and Ipads; Blackberry World for Blackberry devices. Thousands of people listen to the radio from over 100 countries every month. We also have mobile app for Android Gadgets, Apple Gadgets, Windows Gadgets and Blackberry Devices. Top Naija Music Radio is Nigeria’s No 1 Award Winning 24Hour Music Radio and was the recipient of Best Online Radio at Da-Assembly Awards 2015 in Abuja, Nigeria. NB: The airplay will play for for one full hour at a particular time of the day through out the duration of the promo period you subscribe for. 👉 Soundcloud Play => We offer this service at the rate of 50kobo per play with a minimum order of 5000 plays. 👉 Facebook Fanpage Likes (Non-Nigerians) => We offer this unique service at the cost of ₦5 per like (non-Nigerians) and ₦10 per facebook like for Nigerians. 👉 Youtube Views (Normal) => We offer this service for 80kobo per view (slow) and N1 pr view (fast) and can do upto 2million views. 👉 Youtube Views (NIGERIANS) => We offer this service for ₦10 per view and can do upto 2million views. We have offered this unique service to many Nigerian celebrities. So we are sure of the quality of delivery. (4) Mixtake Upload on TopNaijaMusic.com + One Month Hype on Our Massive Social Media Network => ₦40,000. your choice e.g. 1.00pm, 4.00pm, 7.00pm or any hour. => ₦80,000. your choice e.g. 1.00pm, 4.00pm, 7.00pm or any hour. => ₦160,000. How Do DJs benefit from this promo? DJs benefit by having their image on the mix, which people will see while listening to it on their phones or systems. The image may have their number so artistes who download the mix will know how to contact the DJ. Also, DJs can include jingle inside the mix. Ours is to get their mix download by thousands of people with proof. We organize shows like the Top Naija Music Awards, the Nominees Party, Night of A Thousand Music in different parts of the country, Face of Top Naija Models, Campus Music Festival etc as well as partner with other show organizers across the country. And because upcoming artistes are in need of exposure through performances, we open this door to acts to register with us and have access to plenty of performances at the following rates. In a bid to serving artistes well with quality online music promotions, we have designed what we call SILVER PROMO. 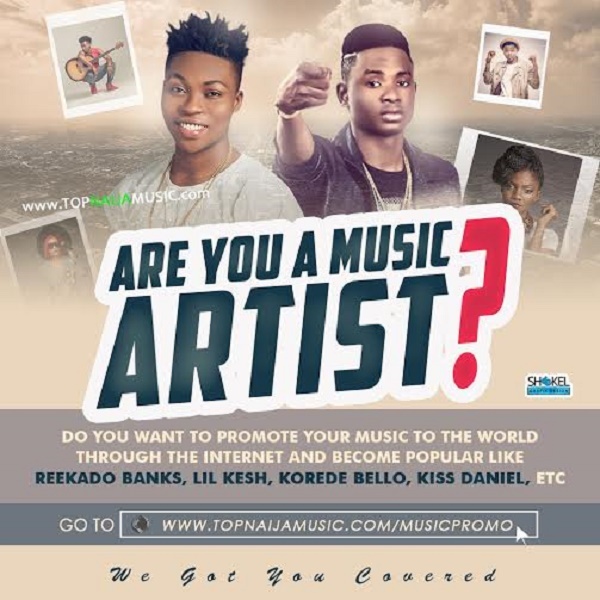 👉 We upload and promote your music on www.TopNaijaMusic.com anytime it is released. 👉 We play your song on our popular online radio www.TopNaijaMusicRadio.com everyday for one year. 👉 You perform at all our shows + other free or paid shows that we can outsource during the one year period of the contract. 👉 We market you to labels and help you get one to sign you up (depending on the request we get from anyone and when the request comes) NB: You must be market ready first and there is no time frame for this. 👉 We act as your official PR agent for one year (if you so wish) and broadcast anything good about you to people for them to have a good impression of you. NB: The number of songs your artiste release does not matter here. You can promote 50 songs using this package. This service costs ₦300,000 for a year. 👉 We will upload your songs on international platform like itunes, Spotify, Amazon, Deezer, Tidal, Groove Music, Rhapsody/Napster, Tidal, Gracenote, Shazam, 7Digital, Spinlet, Claro Musica, Zvooq, Pulselocker, KDigital Media, Digital Tunes to upload all the songs you will ever produce for life. This comes with only 2 years subscription by us. 👉 We play your song on our popular online radio www.TopNaijaMusicRadio.com daily for one year. 👉 You perform at all our shows + other free or paid shows that we can outsource during the one year period of contract. 👉 We act as your official PR agent for one year and broadcast anything good about you to people for them to have a good impression of you. This service costs N600,000 for a year. The purpose of this package is not to act as full management company of an artiste but to support a label or management company in managing their artistes. 👉 Your song will be uploaded on at least one of 360Nobs, NotJustOk, Naijaloaded, Jaguda, or TooXclusive anytime you release a song or video in the course of a year + circulate your songs on at least 30 other music blogs. 👉 We play your song on our popular online radio www.TopNaijaMusicRadio.com at least 3 times daily for one year. 👉 3 Days Internet and Social Media Pre-release hype when songs or videos will be released. 👉 Arrange Performances at Other B list events organized by friends and partners of Top Naija Music Management in different parts of the country. 👉 Arrange collaborations with A List Artistes. 👉 We will get you your own account on our USA platform that will distribute your songs to 20 international music download and streaming platforms where your artistes song will generate income such as Itunes, Spotify, Amazon, Deezer, Tidal, Groove Music, Rhapsody/Napster, Tidal, Gracenote, Shazam, 7 Digital, Spinlet, Claro Musica, Zvooq, Pulselocker, KDigital Media, Digital Tunes with 5 year subscription on the platform. 👉 We will build a website for the artiste to add to his professionalism as well as build his brand and create a one stop centre for his fans to access his works. 👉 We will circulate any song/video released in the course of the one year contract to over 30 music blogs. 👉 We will set up your youtube channel and help you get a customized ID plus brand it properly for you. We will also upload your short clips on your channel and drive some views to them to create some sort of popularity. 👉 We will get your songs on caller ring back tunes (caller tunes) and also on MTN Music +. 👉 We will assist you to register with the Copyright Society of Nigeria (COSON) so that you will be paid royalties when radio and tv stations play your music. 👉 We will assist you in organizing a photo shoot for your artiste and circulate on some blogs. 👉 Alaba Mixtape – One costs ₦150,000 and there are as much as 20 top Alaba DJs who do mixes including DJ Kaywise. Here us our plan for promoting albums online. (1) Website Development: For only ₦100,000, we will develop a unique and simple responsive website for your artiste/record label. You will use this website to place links of your song, your photographs, updates about your music career etc. It is ideal for Nigerian artistes to have their own website. (NB: All prices are subject to change without prior notice). HOW TO PAY & ACTIVATE ANY OF OUR PACKAGES? For more details on this promotions and offers, contact us on 07084464458 or whatsapp: 07084464458.